Please update description for Accessories. Please update description for cables. Please update description for electronics. Please update description for Headphones. Please update description for Multimedia. Speakers have this description that needs to be added. Find Out Where To Buy These Brands Today! 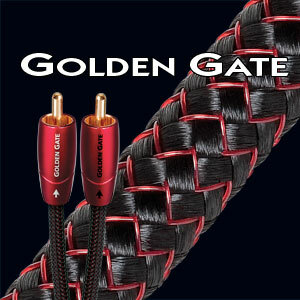 AudioQuest has been the largest cable supplier to the high-end specialist market since 1980, under its founder Bill Low. AudioQuest is sold in several hundred outlets in the US and in over sixty countries, making it the largest cable supplier to the high-end specialist market for many years. This success has been possible almost entirely due to the performance of the product and the passion behind the company. In the audio world, many professionals learn something they didn’t know when listening using Audioquest products. More of their products can be found at Audioquest Website. Even smoother and more open sound! Among the improvements, the circuitry between the DAC chip and the analog output stage has been refined to create a more direct signal path, leading to even greater transparency and immediacy. Also, the DAC’s power supply has been fortified, which gives the sound more “grip,” and even greater dynamic contrast. It was never William E. Low’s intention to create a “signature series” of cables, so it can be said that the WEL Signature series is something which evolved. As anyone who has ever birthed something from the ground up knows, things have the tendency to take on lives of their own. Inspiration becomes the compass that sets the direction we follow. 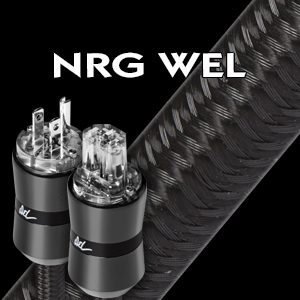 WEL Signature speaker cable is a 30+ year culmination of AudioQuest’s best materials and techniques, combined with the sensitivity and refinement that only comes when those who love music and appreciate the objectivity of uncolored, undistorted sound. SOLID 100% PERFECT-SURFACE SILVER (PSS) CONDUCTORS: WEL Signature AC uses extremely high-purity Perfect-Surface Silver conductors. All conductors are solid, which prevents strand interaction, a major source of distortion. Surface quality is critical because a conductor can be considered as a rail-guide for both the electric fields within a conductor, and for the magnetic fields outside the conductor. The astonishingly smooth and pure Perfect-Surface eliminates harshness and greatly increases clarity compared to OFHC, OCC, 8N and other coppers. The superior purity of PSS further minimizes distortion caused by grain boundaries, which exist within any metal conductor. MULTI-POSITION CARBON-BASED NOISE-DISSIPATION and CROSS-TALK-DISSIPATION SYSTEMS (INSULATION):The negative conductors in WEL Signature AC are insulated with partially conductive Carbon-Loaded Polyethylene. This remarkable material damps radio-frequency garbage from being fed back into the amplifier. The sonic benefit is exactly the same reduction in “hash” and better dimensionality that comes whenever RF garbage is reduced in an audio circuit. WEL Signature AC uses Foamed-Polyethylene Insulation on its positive conductors because air absorbs next to no energy, and Polyethylene is low-loss and has a benign distortion profile. Thanks to all the air in Foamed-PE, it causes much less of the out-of-focus effect common to other materials. COUNTER-SPIRAL GEOMETRY: WEL Signature AC power cables have an inner circular array of positive conductors spiraling in one direction. Around this inner group are the negative conductors spiraling in the opposite direction. Even while the positive and negative conductors are crossing each other instead of being parallel, the relationship between the positive and negative groups is fixed and non-changing, adhering to one of AudioQuest’s most basic design tenets: consistency. The result is an astonishing clarity, like focusing a camera lens you had no idea was so far out of focus. TERMINATIONS: Cold-Welded Hanging Silver Over Directly Over Pure Red Copper IEC and 3-Pole US wall plug (20 Amp IEC also available). SOLID 2.5% SILVER CONDUCTORS: Solid conductors eliminate strand-interaction distortion and reduce jitter. Solid silver-plated conductors are excellent for very high-frequency applications, like HDMI audio and video. These signals, being such a high frequency, travel almost exclusively on the surface of the conductor. As the surface is made of high-purity silver, the performance is very close to that of a solid silver cable, but priced much closer to solid copper cable. This is an incredibly cost effective way of manufacturing very high-quality HDMI cables. FOAMED-POLYETHYLENE INSULATION: Any solid material adjacent to a conductor is actually part of an imperfect circuit. Wire insulation and circuit board materials all absorb energy (loss). Some of this energy is stored and then released as distortion. 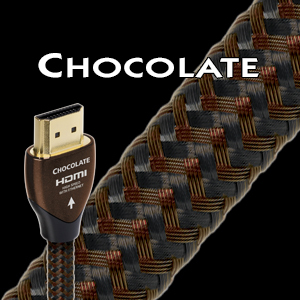 Chocolate HDMI uses air-filled Foamed-Polyethylene Insulation because air absorbs next to no energy and Polyethylene is low-loss and has a benign distortion profile. Thanks to all the air in Foamed-PE, it causes much less of the out-of-focus effect common to other materials.